Attorneys are tired of transactional-drafting programs that try to “revolutionize” how they write. Advanced Transactional Drafting is different. It will help your attorneys solve day-to-day drafting problems and avoid common errors and ambiguities. Throughout the workshop, we will review and edit excerpts from well-known transactions, agreements, and disclosure documents. Participants will receive my new contract-drafting guide. 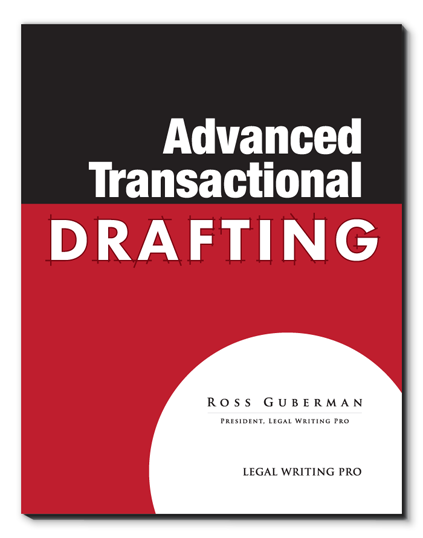 If you’d like to learn more about our Advanced Transactional Drafting workshop, please fill out the contact form below.